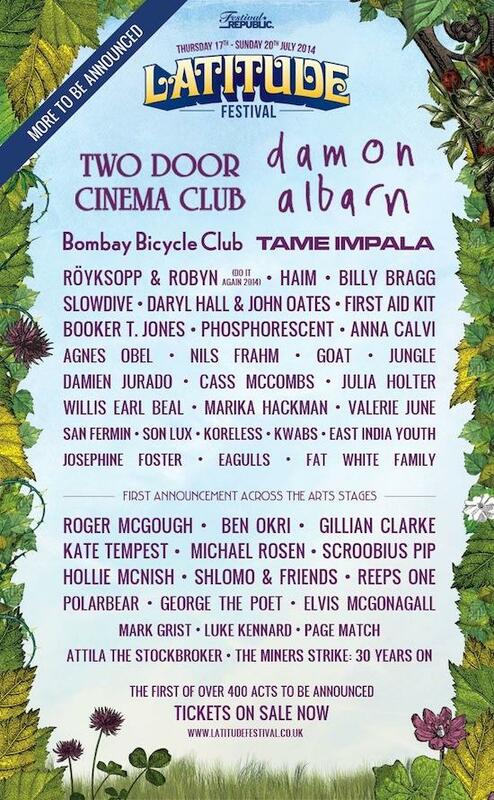 Latitude have just added another round of names to their bill, including the newly-reformed Slowdive, East India Youth, Fat White Family, Tame Impala, Hall & Oates, Julia Holter, Koreless and Agnes Obel. They join previously-announced acts Robyn and Röyksopp, as part of their 'Do It Again 2014' tour, Haim and Anna Calvi, as well as headliners Damon Albarn and Two Door Cinema Club. Head to the festival's website for tickets and read up on the Things We Learned At Latitude last year here.